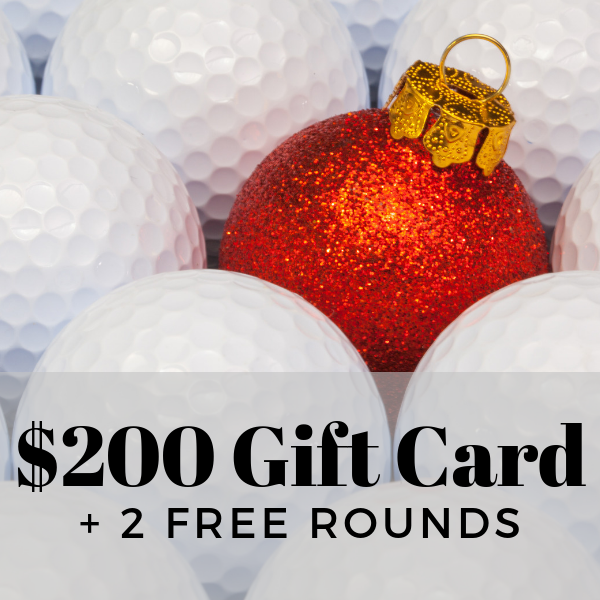 Buy a $200 Gift Card and Get 2 FREE Rounds of Golf! Rounds are 18 hole only and include Cart! Rounds expire Friday, May 24th and cannot be used for league or tournament play.